What does it mean to be a Timber Ridge School graduate? For most it has meant realizing a second chance, or in some cases, a last opportunity to earn a high school diploma. For many graduates, the Timber Ridge School experience has meant replacing years of failure with success and a newfound sense of self-confidence. It has meant learning new strategies to cope with anger and past trauma. It has meant learning respect for others and gaining a new perspective on the meaning of relationships, especially those closest. Are you a parent who is familiar with ongoing issues of truancy, suspension, expulsion and failure in school? Perhaps you have been faced with seeing your son go through the revolving door of the criminal juvenile justice system to include time spent in juvenile detention. What does a conscientious parent do that sees self-destruction of their teen-age son taking place before their eyes, but knows that their son has the potential to achieve if given the right circumstances? When a parent realizes that it is time to seek more intensive professional intervention, where can they go to receive reputable help? With a proven track record of over 45 years, Timber Ridge School has partnered with parents to provide the answer for thousands of adolescents having emotional and behavior problems. Therapeutic residential treatment is our specialty and experience is one of our trademarks. We currently have 125 employees serving 72 students. The top 10 tenured staff alone represent over 320 years of collective experience working at Timber Ridge School. Our Behavior Management System and Level System are integrated with Reality Therapy, Therapeutic Crisis Intervention, Cognitive Therapy, and Character Education. While staff and clinical counselors currently use trauma informed practices in treatment and therapy, one of the research proven trauma informed models will be formally integrated into our program within the next couple of years as part of our current Strategic Plan Initiative. In addition, our emphasis on family counseling is considered critical in our eclectic approach to achieving success. Students can thrive in our low ratio academic school setting and we feel pride in our student successes. Our high school graduation rates continue to exceed state and national averages. We look forward to our upcoming Graduation Ceremony on Tuesday, June 16, 2015 to celebrate the latest group of young men who will receive their high school diplomas. However, our mission will not end at graduation as our summer school will be launched following graduation. Our students who are behind on credits will be able to earn 2 credits during summer school and others can explore new areas of interest prior to the start of the next calendar year school term which begins on Monday August 17, 2015. The wheel keeps turning and Timber Ridge School will continue to be there to serve! NATSAP Shines the Spotlight on Four Circles Recovery Center! 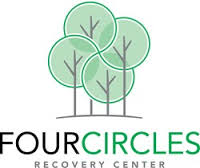 Four Circles Recovery Center is an outcomes driven Wilderness Based substance abuse treatment program serving young adult men and women 18-30 years old with co-occurring mental health conditions. Located in the Blue Ridge Mountains near Asheville, NC we offer an innovative approach to substance abuse treatment that integrates adventure based wilderness experience with professional clinical care and therapeutic programming. NATSAP Shines the Spotlight on Red Oak Recovery! Red Oak Recovery is a clinically-dynamic substance abuse and co-occurring mental health treatment program specializing in gender-specific programming for young adults ages 18-30. Red Oak is a team of committed professionals that uses research-supported clinical methodologies, integrated with outdoor adventure therapy, to create a uniquely engaging treatment modality. We employ an eco-therapeutic model, which is based on a combination of three distinct approaches: experiential, clinical, and organic. 1. Experiential: the most effective learning system. Our active program integrates challenges that build self-efficacy, demonstrate how to have sober fun, expose clients to the beauty of nature, and foster connection with the natural self. Each weekend our clients go out for a specific adventure that becomes a peak experience. These activities include hiking, fly fishing, rock climbing, white water rafting and other seasonal adventure activities. Clients are enabled to safely step out and face fear, get in touch with themselves, and feel what is real. Through these peak experiences, clients begin to understand and determine their place in the real world. 3. Organic: a natural progression towards health; a developmental process. We have a seed-to-plate nutritional and horticulture therapy program that teaches young adults how to have a healthy relationship with food. Our executive chef teaches our clients how to prepare healthy meals and snacks for themselves in an experiential way. This allows for personal expression as well as fun, encouraging clients to try out new positive behaviors and attitudes. Nutritional education on a number of levels creates a space for clients to understand that what they eat influences how they feel. We offer an abundant amount of individual therapy, family therapy, adventure therapy, traditional 12 step programming, teamwork, acupuncture and more. Red Oak is person-centered, meeting clients where they are mentally, physically, and spiritually, not where they think they should be. Our flexible length of stay allows for a self-change process which follows the client’s rate of change, not that of a one size fits all approach. NATSAP Shines the Spotlight on Brightstone Transitions! Brightstone is Young Adult Transition program for both Women and Men. Brightstone is a small individualized program located outside of Atlanta. Our typical client is the young adult who struggles socially, hasn’t been able to achieve success and wants their independence. Many of our clients are diagnosed with ASD, they are high- functioning, have ADHD, unable to find or lack motivation, struggle socially or academically, and haven’t learned the life skills necessary to be successful. Our driving principle is “Independence through Application” this is where we focus on helping our clients take their large goals and put them in manageable logical steps. This allows us to help create momentum through several small successes to help them start building confidence and moving forward in their life. Our clients are capable of success, but for whatever reason they have been unable to achieve / maintain that success. The struggles our clients face often come with different diagnoses, we partner with each client’s practitioners to help develop a plan that works for that young adult. Many have failed to “launch”, and often appear unwilling or unable to achieve the milestones established by their peers. After mastering the skills needed our clients move into Independence our clients move into the second phase of the program, Independent Living Support or ILS. This is where our clients get to practically apply the skills they have learned. At Brightstone we meet our clients where they are at and use common sense methods to help them move forward. Interested in Presenting at the 2016 Annual Conference? NATSAP is proud to announce its 2016 Annual Conference to be held at the Hilton La Jolla Torrey Pines, February 10 – 12, 2016. You’re invited to join us in presenting and sharing your knowledge with fellow Conference attendees. The Call for Papers application is now available. Click here to download a copy. REGISTRATION IS OPEN and we encourage you to sign up now to receive the special Early Bird registration rate. December 18, 2015 is the cutoff for early bird savings, and January 15, 2016 is the registration deadline. Click here to register now! NATSAP Shines the Spotlight on Morningside Recovery! 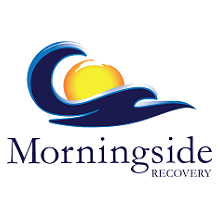 Morningside Recovery was founded in 2001 with a mission to provide individuals with the tools to achieve sobriety and healthfully functioning through our unique supervised, open treatment model. Our goal is to help facilitate continued recovery by exposing and teaching our clients the everyday life-skills necessary to live sober. Through our extended care model we encourage and support continuing education or work while individuals are in treatment. The Morningside Academic Institute (MAI) helps clients with addiction and mental health problems meet treatment and education goals, regardless of academic failures in the past. Morningside Recovery gives clients a second chance to learn. Morningside Recovery is also one of the nation’s only pet-friendly treatment centers. Bringing a pet to rehab helps clients maintain a feeling of normalcy during treatment. Caring for an animal becomes part of a healthy routine at Morningside. We encourage clients to bring their pet because the non-judgmental support of a loving pet can make a big difference in recovery. Additionally, we custom tailor treatment for each client through a broad selection of treatments, ranging from traditional therapies such as Cognitive Behavioral Therapy (CBT) to more advanced therapies like Dialectical Behavioral Therapy (DBT) and EMDR, in addition to an extensive array of experiential therapies and activities. We also integrate Holistic treatments into our diverse program. Morningside also provides dual-diagnosis treatment in the cases of bipolar disorders, schizophrenic disorder, or mood/anxiety disorders. Clients who arrive without a diagnosis will receive comprehensive psychological and psychiatric assessments, within our own private Southern California treatment facility, including an in-depth health review and personal health history assessment. Due to the fact that we are non 12 step model, we can address and treat the psychological issues central to addiction.